There’s a new way to easily test your PC’s virtual reality chops. 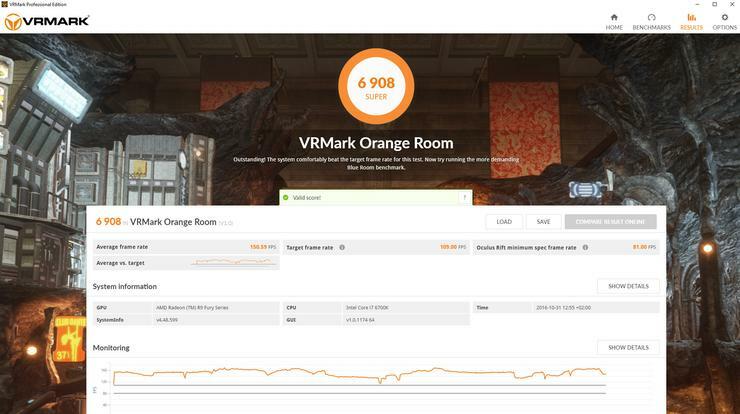 Futuremark, the creators of the widely used 3DMark benchmarking tools (including Fire Strike), just announced VRMark for gauging your computer’s VR capabilities. Orange Room tests your PC with the recommended hardware requirements of VR headsets in mind. 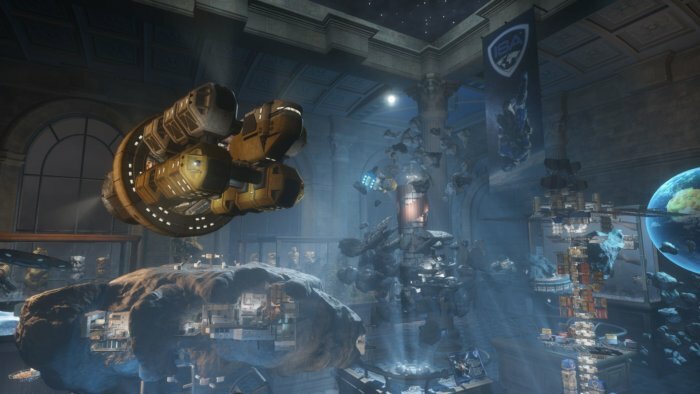 Futuremark says your PC will pass if it can hit the benchmark’s target frame rate without dropping frames—two crucial requirements for virtual reality. Orange Room also provides an overall score at the end so you can compare different system results. You can run the Orange Room just like a standard benchmark, where everything happens on a PC monitor. Flip to Experience Mode, however, and you can don your VR headset to explore everything the Orange Room has to offer. Futuremark says Experience Mode lets you move anywhere in the test room. The experience offers spatial audio and a flashlight for lighting up any part of the scene. Why this matters: In these early days of VR gaming, proper benchmarks are going to be critical. Unlike standard gaming, there’s a serious risk of illness if your PC can’t hit the 90 frames per second standard that the Rift and Vive require. Just a few months ago, VR benchmarking was in bad need of some solid testing suites, as PC Perspective explained in April. Before VRMark came out the only easy-to-use solution was Valve’s own SteamVR Performance Test. While that’s a handy tool—we’ve used it for judging VR hardware—it’s always better to have multiple options to really see what your PC is capable of. The Blue Room in VRMark. Anyone who ponies up for the $20 Advanced Edition of VRMark receives another testing scenario and a lot more analytical tools. The second scenario is called “Blue Room” and it aims to really push your system to the limit. If your system passes, Futuremark says your PC can run VR games and experiences at the highest settings. The Advanced Edition also includes hardware monitoring charts and more detailed results. 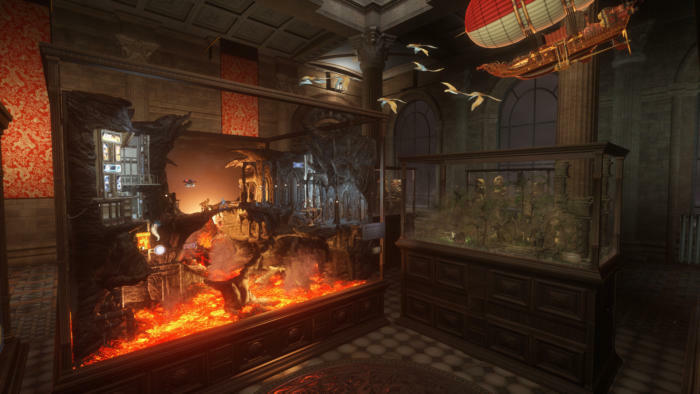 Some of the charts you’ll get include frame rate, GPU frequency, GPU load, and GPU temperature. VRMark is available now directly from Futuremark or Steam and available for Windows 7 (SP1) 64-bit and up—32-bit versions of Windows won’t cut it due to the 4GB RAM limit. It’s compatible with the HTC Vive and the Oculus Rift. For the first week of its release, Futuremark is offering VRMark Advanced Edition for $15 instead of $20.